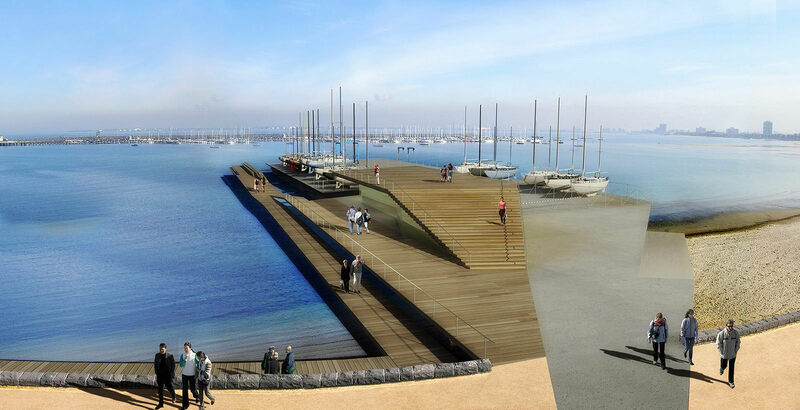 Following the successful delivery of the St Kilda Promenade, JCB were engaged to develop a masterplan for the redevelopment of the St Kilda Pier and St Kilda Harbour. 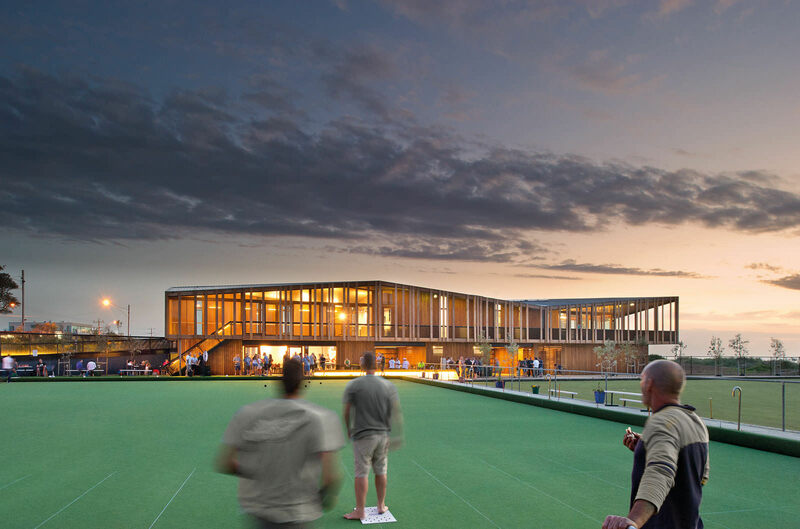 The masterplan incorporates the development of new and existing infrastructure for recreation and commercial boating, events and entertainment as well as linkages to the foreshore. 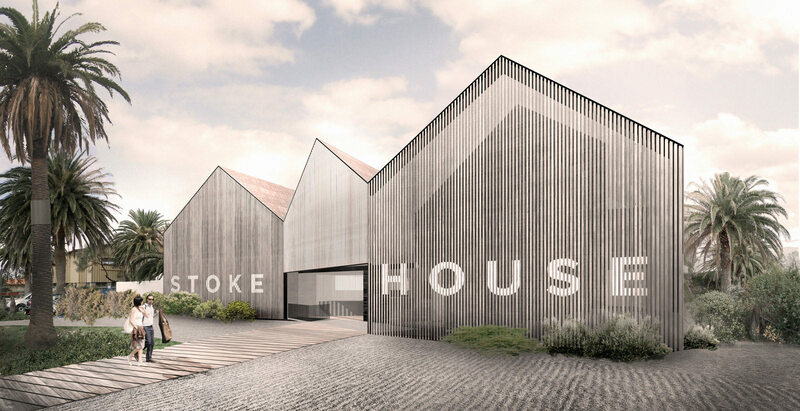 The masterplan’s dual role is to assist in the protection of the cultural, heritage, ecological and functional qualities of the harbour, while accommodating necessary change to make it viable in the future. 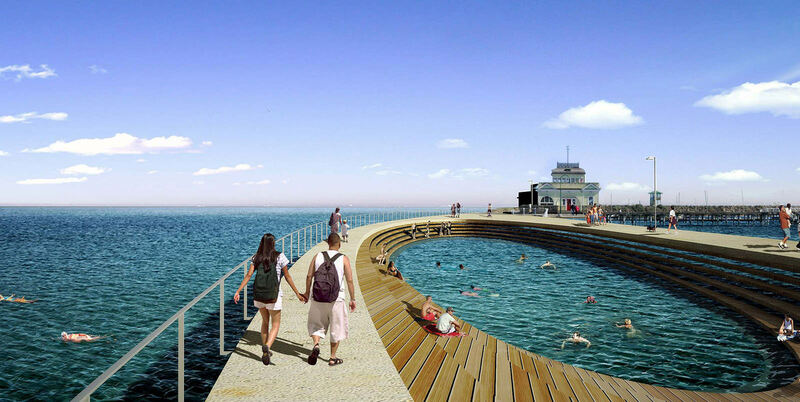 A key element within the masterplan proposes the reconstruction of the St Kilda Pier, with integrated wave protection devices that create a new public sea-bath within the pier itself. 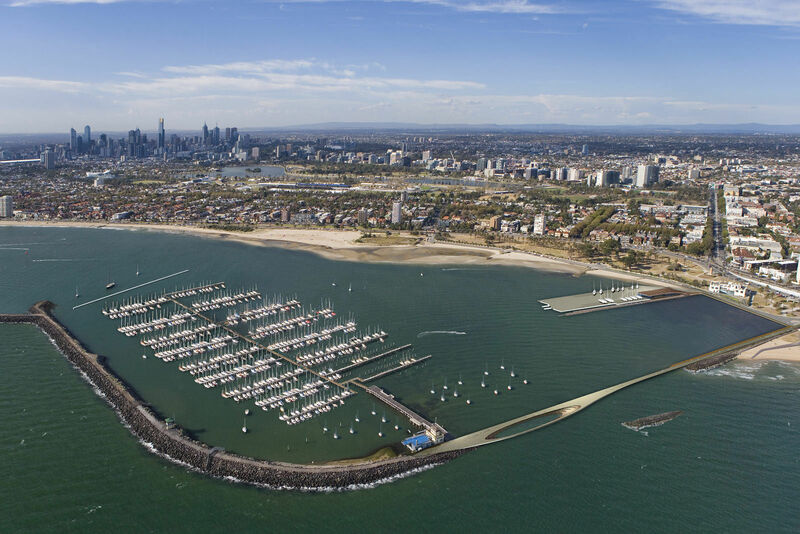 The new pier accommodates a number of different user groups, from boat repair and storage to ferry terminal with relevant concessions, a storage area below used by the junior yacht club and a rooftop observation deck.